Bandwidth monitoring is a method for measuring the actual bandwidth available on a local system (LAN or WiFi). Bandwidth monitoring tools display real-time data such as download and upload speeds and help prevent network strain. Private individuals and professionals alike use bandwidth monitoring to check for available bandwidth. "Who is hogging my bandwidth?" 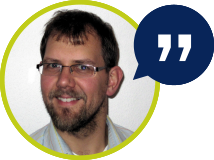 - maybe you hear that frustrating question over and over again from your users. They are complaining about a slow network and you need to identify the root of the problem. PRTG Network Monitor helps you determine how much bandwidth your devices and applications are using. Depending on your network and hardware, you can use different protocols like SNMP, flow or packet sniffing. 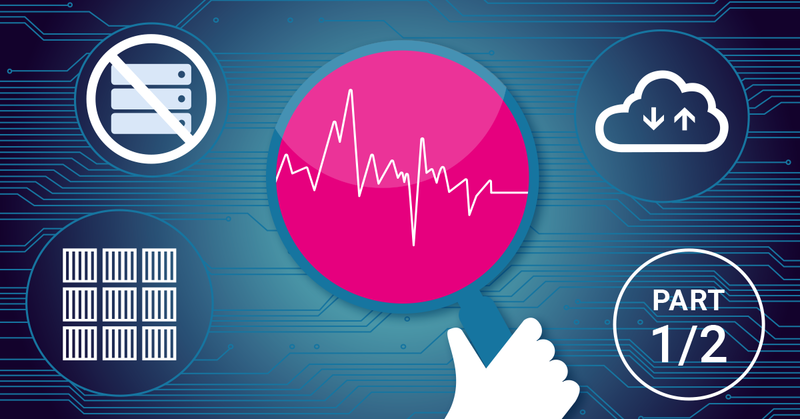 Most bandwidth analysis solutions are only able to check internet traffic on a single device. For measuring all the traffic in your network, you need to monitor the data directly on your routers. Protocols like SNMP, NetFlow or WMI allow you to monitor bandwidth usage of your entire network. By using the Network Bandwidth Analyzer PRTG you get informed about all ingoing and outgoing traffic and see what application or what servers are using up the most bandwidth. Uses a MIB library file to create sensors that monitor a device via SNMP and provides custom monitoring beyond the standard SNMP sensors of PRTG. Monitors traffic on a device using SNMP. Monitors the traffic of an IPsec VPN connection on a Cisco ASA using SNMP and shows the incoming and outgoing traffic. With PRTG Network Monitor, it is easy to track and check bandwidth usage in your network. The bandwidth tool reads the traffic data from your router and displays the results in three graphs. This way, you will quickly and easily be able to check bandwidth usage and the amount of data transferred. Private users: Many private users are interested in determining the amount of bandwidth they have at their disposal. Or more precisely: if the bandwidth guaranteed by their internet service provider is indeed the amount that is available. In this context, many consumers investigate speed tests, DSL bandwidth, or whether their cell phones or tablets are able to access the respective bandwidth. In addition to PRTG, which of course can help in this area, you may opt for a simple cable speed test which can be found online on a variety of different sites and often times also measures the ping. 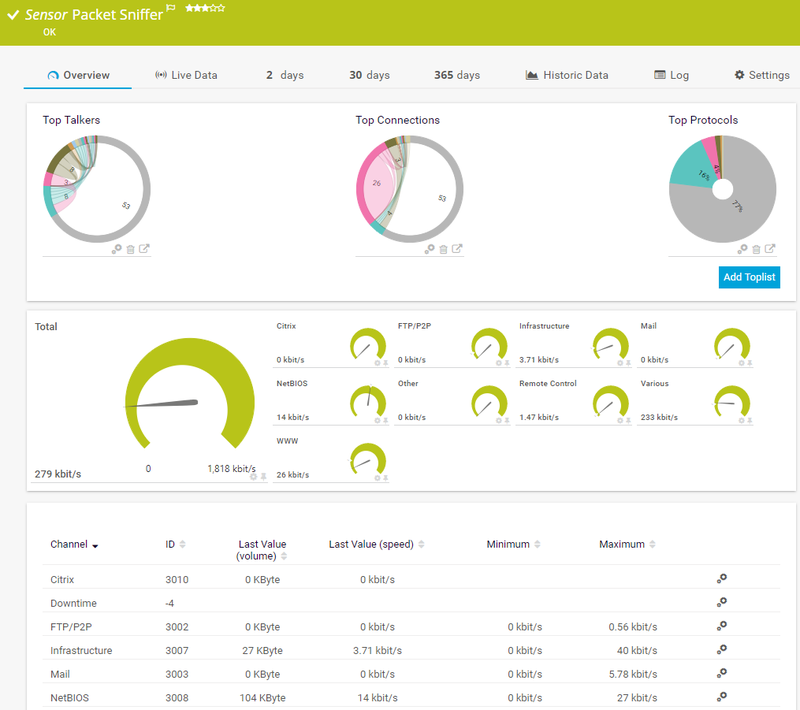 Start using our bandwidth manager for your network. Professional settings: In professional settings (businesses or large organizations), reduced bandwidth has significantly graver consequences. Disruptions lead to idleness on the part of employees and customers and a corresponding loss of sales. Administrators must promptly expose and eliminate bandwidth hogs. In this instance, our PRTG bandwidth monitoring tool will help you to monitor bandwidth, detect and measure heavy bandwidth overloads, quickly recognize potential disruptions - and get down to the root of the problem. Your co-workers complain that the programs used internally are too slow? 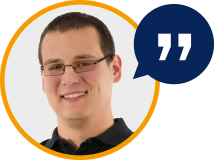 Your customers are unhappy because your website constantly seems bogged down? Then the problem probably lies with your bandwidth. No IT can do without backups. In general, backups or database synchronizations require a great deal of bandwidth. Without the proper amount of bandwidth your network can be brought to its knees. Practically every company sends large files. These files consume a correspondingly high amount of bandwidth. But bottlenecks lurking in every network slow down transfers. With PRTG, you'll be able to promptly identify potential bandwidth overloads and quickly pinpoint the causes of crashes. One single network component overloading can swiftly result in a significant loss of bandwidth. PRTG Network Monitor reads the complete traffic data from your router and provides detailed statistics about which services and programs use your bandwidth, and where potential bottlenecks could be. PRTG displays your bandwidth usage in graphs and toplists and shows net bandwidth consumption based on various parameters such as port numbers, IP addresses, protocols, etc., using either Packet Sniffing or xFlow sensors (NetFlow, sFlow, jFlow, and IPFIX). Custom alerts notify you about bandwidth shortages via SMS, email, or push notifications. This ensures you can react proactively to all bandwidth issues and troubleshoot problems before they become severe. 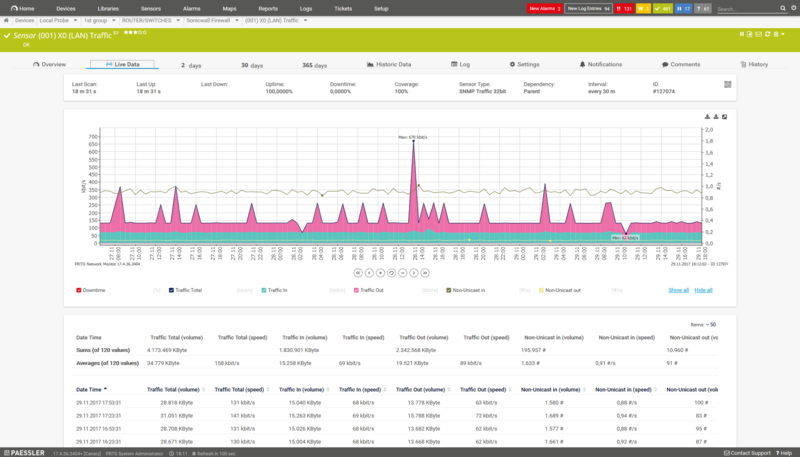 Monitoring bandwidth usage is key to better network management. The PRTG bandwidth monitoring tool simplifies your day! so you can concentrate on day-to-day tasks with total peace of mind. 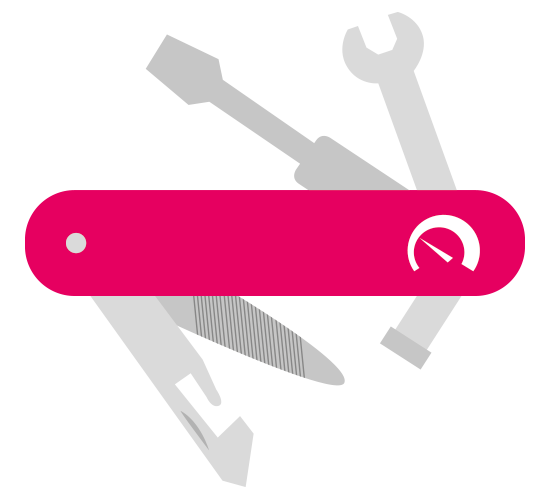 With PRTG, you get one central monitoring tool for your bandwidth data, measuring bandwidth and testing your network. You’ll enjoy a quick overview of your entire infrastructure via our dashboard and app. Installing PRTG is quick and easy. Getting started or switching from another network and bandwidth monitoring tool is straightforward thanks to the PRTG auto-discovery and pre-configured device templates. PRTG is worth it. 80% of our customers report substantial savings in the area of bandwidth management. And license costs pay for themselves in an average of only a few weeks. "Due to business-critical applications, it is of the utmost importance that the ÖBB Infrastruktur AG data network constantly run flawlessly. To make this a reality, the management installed PRTG Network Monitor. PRTG is used for the bandwidth monitoring of the central routers and switches in the data network so administrators can determine the most important key parameters for utilization and availability. In total, the monitoring consists of several thousand sensors which query the relevant values in regular intervals." In this video, you’ll get a quick overview of the methods PRTG offers for bandwidth monitoring. Discover which method is best suited for your IT infrastructure. Test bandwidth: use PRTG to test with success! Challenge 1: In order to test the maximum throughput of your bandwidth, you must use your line to maximum capacity. This means there will be no more resources for other data during the network test. In other words, you'll paralyze your network. For these reasons, you cannot measure the bandwidth directly over the course of the entire test, but must test the speed of the line by generating short load peaks, e.g. by downloading a small file (a few kB) every few minutes and measuring the time it takes for the download. Create three HTTP Advanced sensors, which access several files of circa 500 kB from a variety of "fast servers" (e.g. your ISP's static websites). Let the sensors run for a few hours with a 5-minute interval. The sensors have a channel which specify the bandwidths achieved during the file download in Kbps. If, for example, you have a data line with a specified bandwidth of 4 Mbps, the network test of a 500 kB file should last 1,000 ms (1 second): 4 Megabits per second = .5 MB per second = 500 kB per second. If your line is used by others during the network test, you will see jitter (unwanted fluctuations) on the curve, for your test did not always run with the full amount of available bandwidth. If there was no other traffic on the line, your curve should closely resemble a straight line. Bandwidth checks with PRTG will allow you to monitor your network and potential bottlenecks. Attention! If you download a 500 kB file every 60 seconds, you'll generate a data volume of 720 MB per day! TIP: You are still new to monitoring and need a little support? Paessler offers a free, multi-part email course covering the 4 basic methods of bandwidth monitoring: SNMP, Packet Sniffing, Flow, and WMI. Learn more about individual processes and the possibilities of using them to improve bandwidth usage in your network. 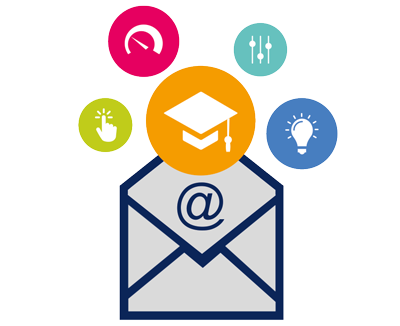 Sign up here for our free email coaching and learn how you can put your resources to better use with Paesslers bandwidth meter. Bandwidth monitor: What makes PRTG better than the rest? Looking for the causes of slow applications or other problems without a monitoring tool is long and costly. PRTG provides a comprehensive network bandwidth monitor. 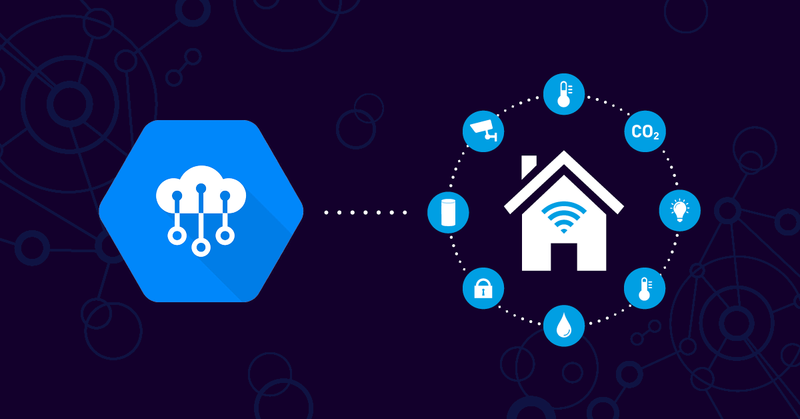 You get around 20 sensors just for the monitoring of your bandwidth, and these sensors can be created automatically. PRTG lets you keep an eye on your bandwidth over a longer period of time, and recognize the times when utilization has spiked. This allows you to proactively plan for more bandwidth at certain times - such as when your website is in high demand, when users tend to draw heavily upon applications, or when an update is about to take place (read more about update monitoring here). Your bandwidth is slowly reaching its limit? With PRTG bandwidth monitor, you'll know immediately when maximum capacity has been reached. This lets you plan for new resources in a timely manner. By discovering and removing bandwidth hogs, you'll increase the efficiency of your network. You'll also benefit from lasting savings. Most of the time, these measures alone quickly compensate for the costs of PRTG. With PRTG as your bandwidth tester, you'll provide a stable bandwidth, boost the reliability of your network, and simply enjoy greater control of your IT infrastructure. As a consequence, you'll play a major role both in the improved performance of co-workers and in soaring customer satisfaction. Administrators must compare monitoring tools or search for a free one. There are several suppliers on the market. 1. Free trial version: PRTG is available in a free trial version. 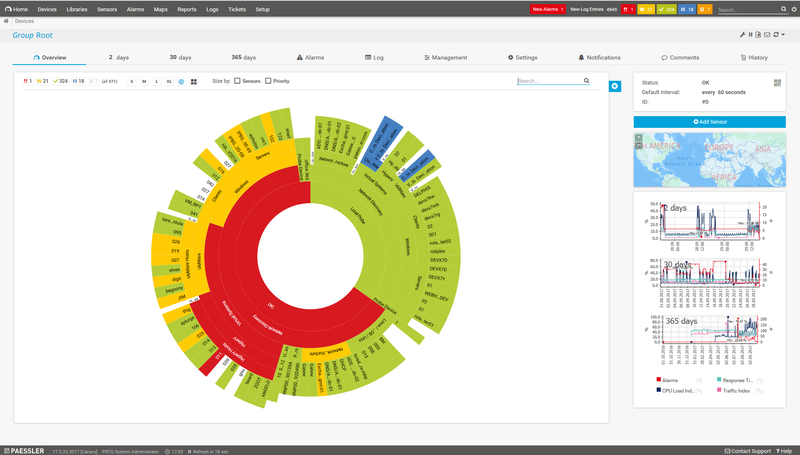 Use this version to get a feel for our network monitoring tool with no risk whatsoever. 2. Over 200,000 administrators: whether in large or small businesses, authorities, colleges or administrations - all around the world, more than 200,000 administrators put their trust in our network monitoring tool, and can therefore also monitor their bandwidth. Read our case studies here. 3. Support: do you have a question? We respond in a jiffy! You can already access a great deal of information online by consulting our FAQs, manuals, videos, webcasts, or knowledge base. You can of course also send us a message. We'll do our best to get back to you within 24 hours on business days. PRTG is the PAESLLER AG's all-in-one network monitoring tool. Our software is used by more than 200,000 administrators worldwide, whether it be to monitor their hardware- and server performance , their virtual environments, or the accessibility of their websites. Use PRTG for database monitoring or sql monitoring. 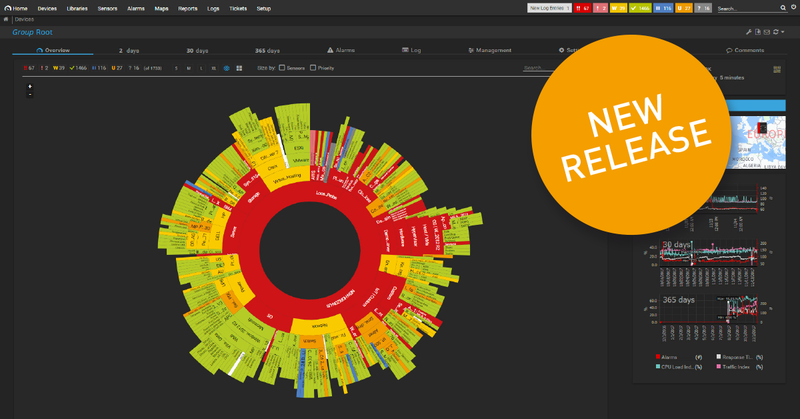 PRTG is a one fits all network analyzer tool. Save time, worry, and money. PRTG is configured in a matter of minutes. The trial version is offered free of charge. And you can upgrade whenever you like.